Rarely Available Diamond Head Location with peekaboo Ocean Views! Nice mountain view deck area with BBQ, sparkling pool and grass yard. Close to Doris Duke Estate & a short walk to one of the best uncrowded surf breaks on the south shore, Kaikoos. Completely remodeled with chef's kitchen, new appliances, Granite counters, Acacia hardwood floors & custom bar for casual indoor/outdoor living. Mstr suite on main level w/ tropical outdoor shower & 2 bdrm en-suites upstairs. Furnishings available & negotiable so you can come move right in then customize to your taste later. Short walk or bike ride to Diamond Head Beach, Kapiolani Park, the Outrigger Canoe Club and the night life of Waikiki. Quick access to the freeway. Great rental history for off shore buyers with accounting numbers available. 4 Parking Spaces. 2 Car Garage, Carport, Driveway. Landscaped. Interior Lot, Paved Road. 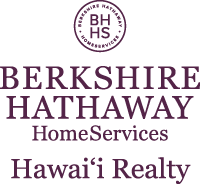 I am interested in 4150 Papu Circle, Honolulu, HI 96816. Sign up for Inside AccessTM to view recent sales near 4150 Papu Circle.